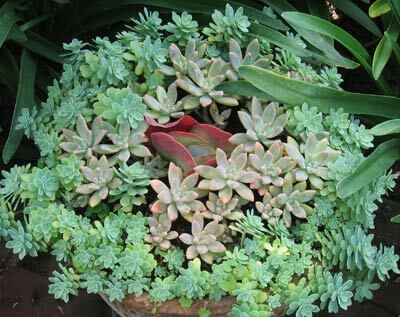 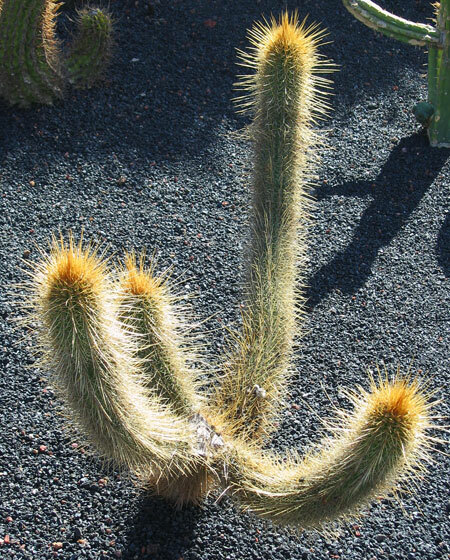 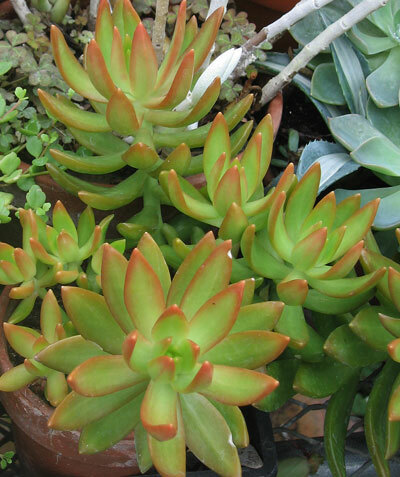 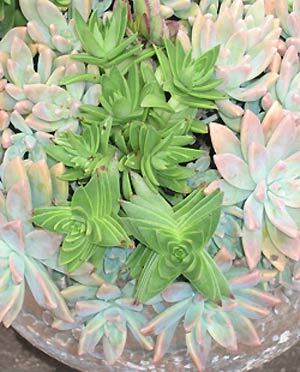 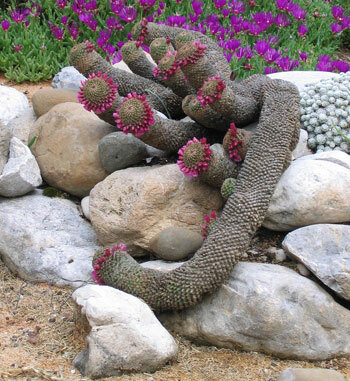 This is the Cactus and Succulent Mystery Page of our A to Z garden guide -- how to care for them, landscaping with them, and cooking and healing with them. 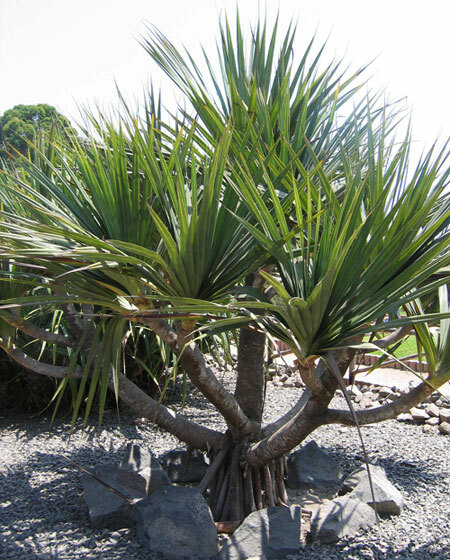 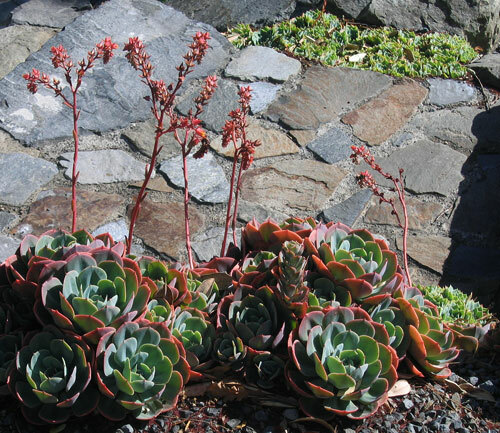 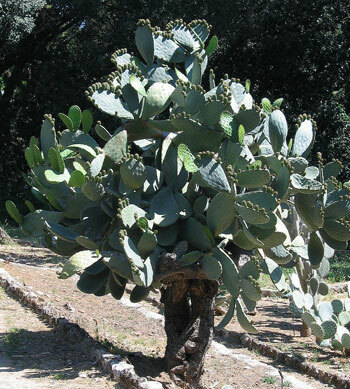 Many of the photographs on this page were taken in the Botanical Garden in Sicily, Italy. 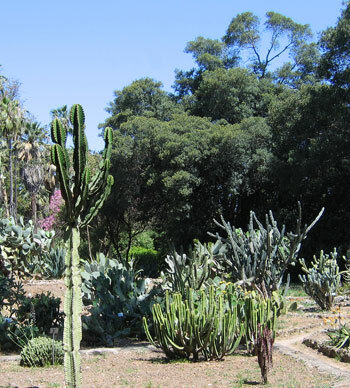 It is a place of great beauty and peace in the middle of a very vibrant city. 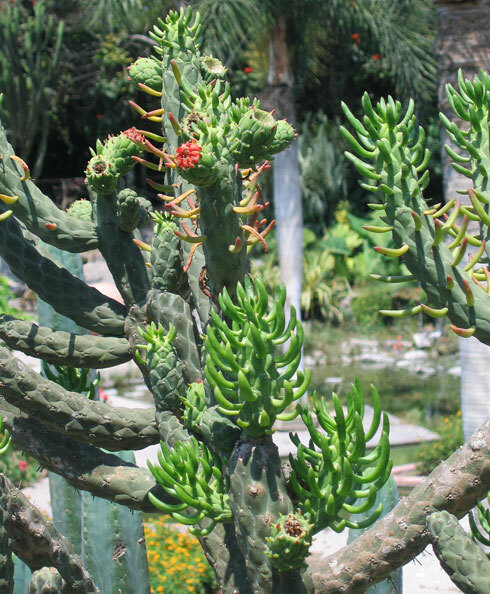 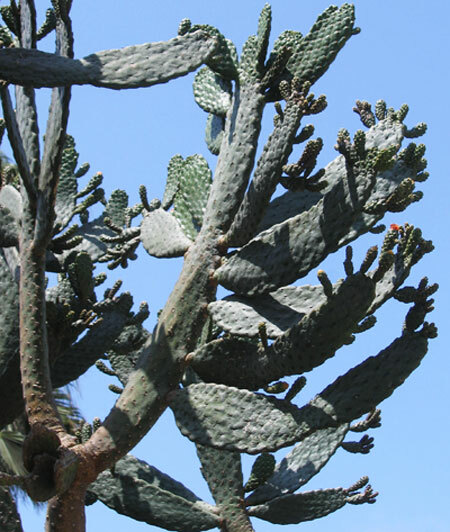 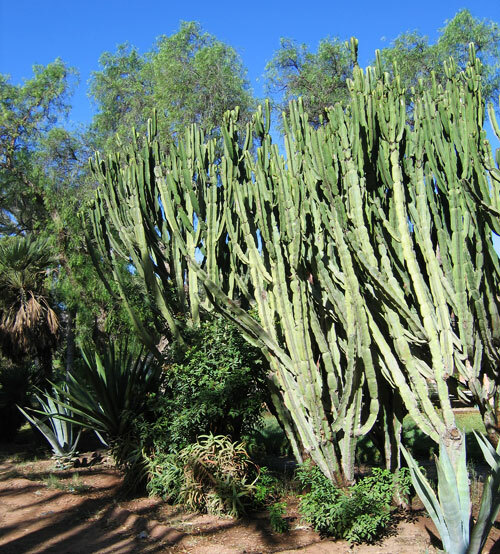 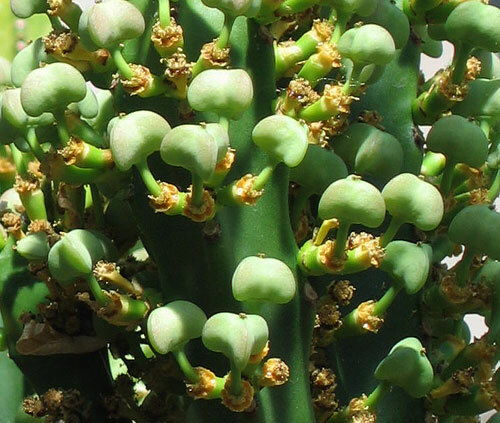 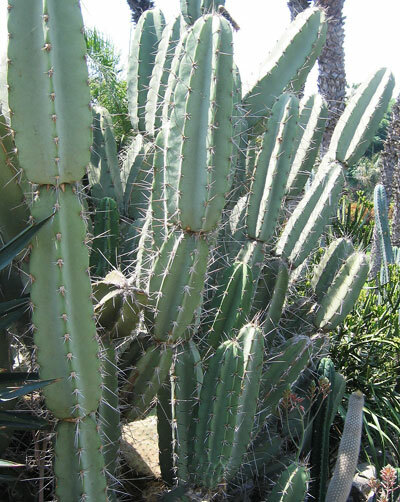 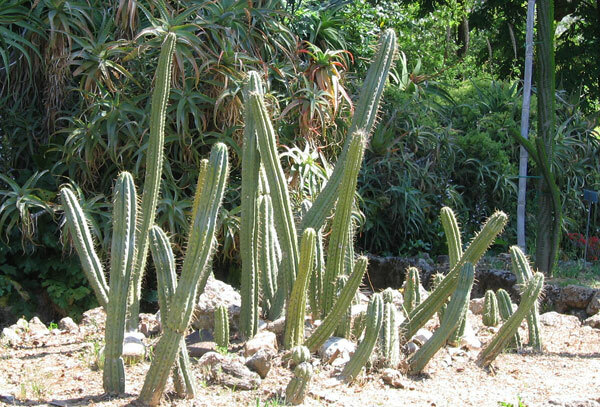 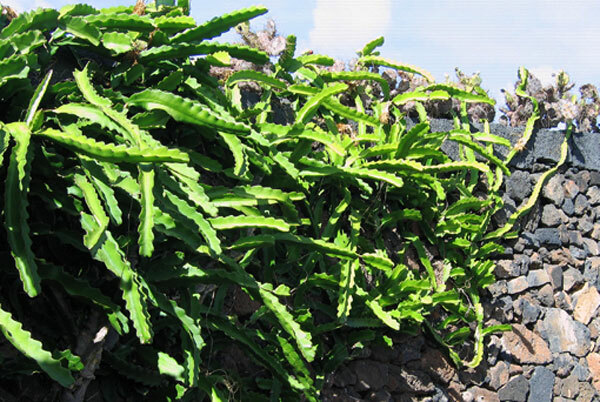 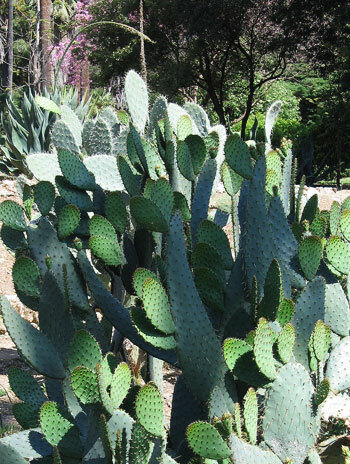 One of its special areas of study focuses on cactus and succulent plants, both those that require a greenhouse climate in Sicily and those that live permanently outside in the garden. 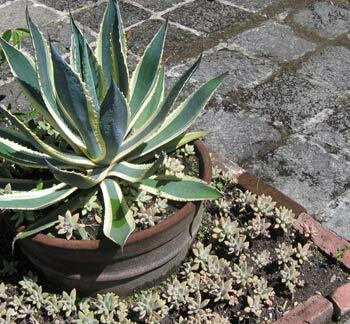 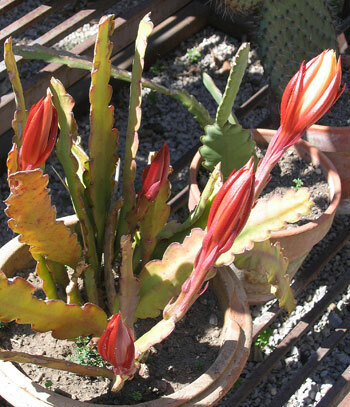 Over many years as a devoted gardener my interest in cactus and succulents grew, perhaps most quickly when I moved to Mexico where I could enjoy these plants in pots on my terrace and planted in my garden. 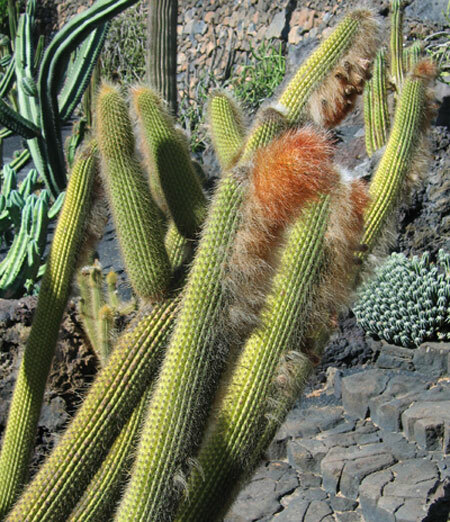 I hope you will enjoy the photographs and that maybe you will be able to help me identify some of the plants you'll be seeing. 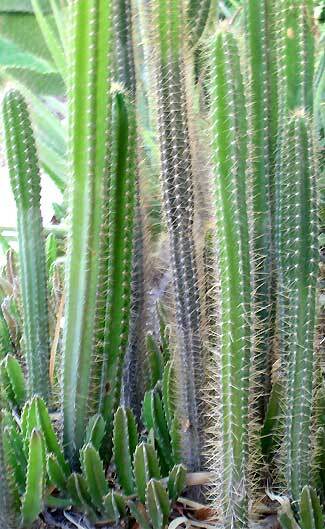 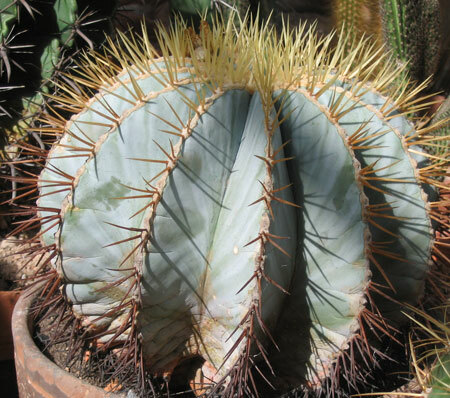 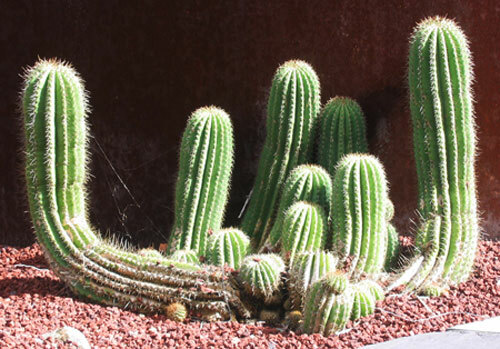 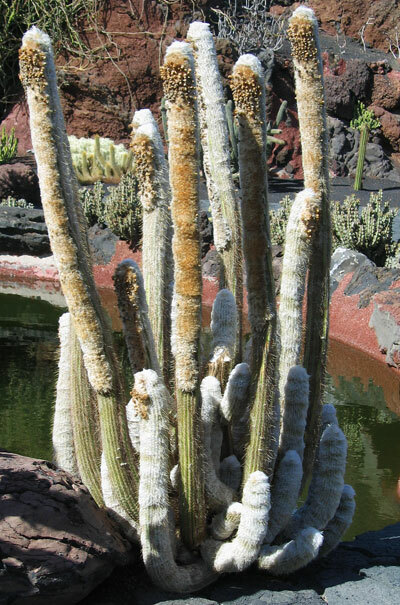 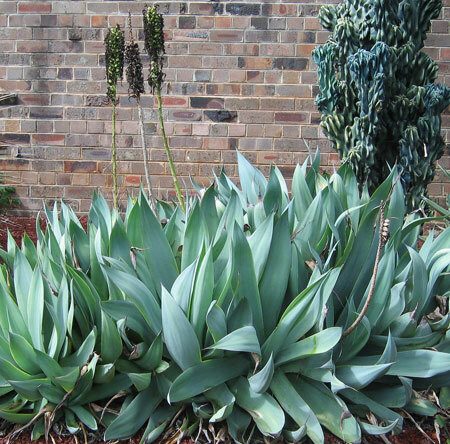 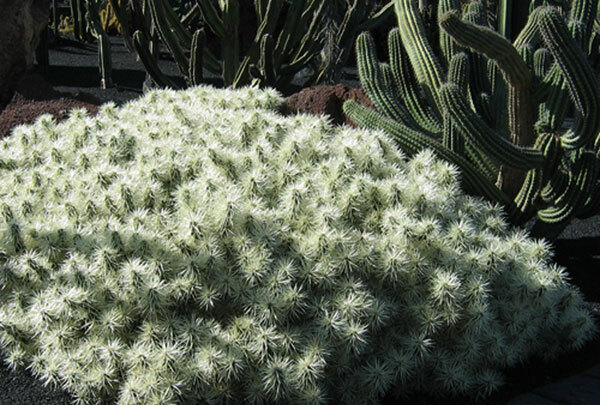 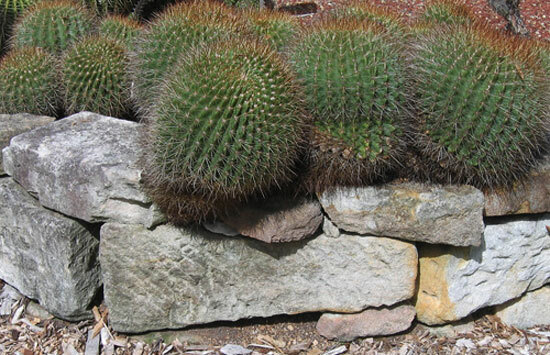 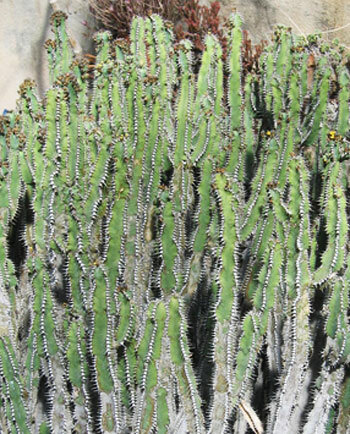 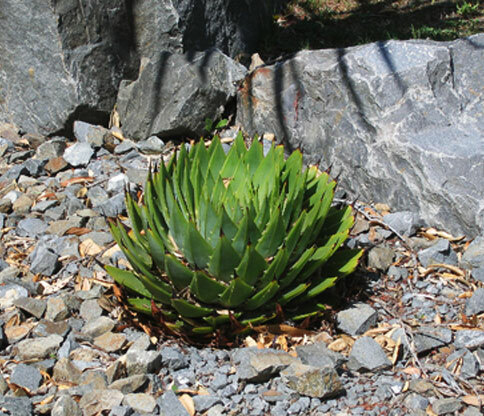 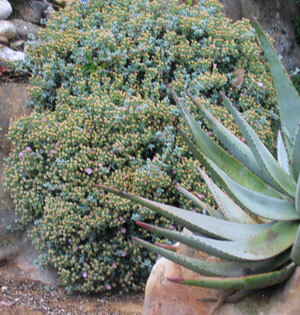 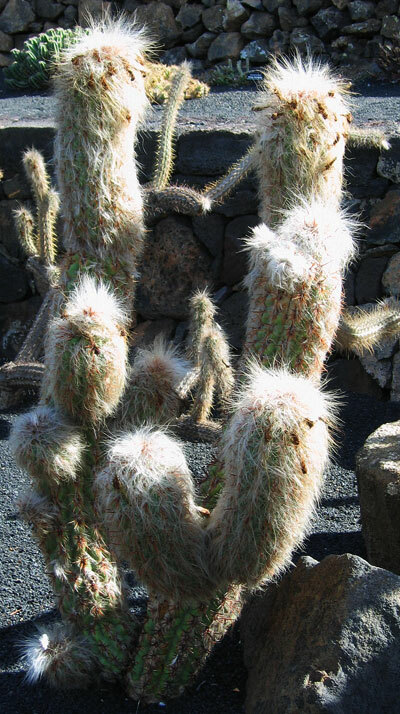 As the years have passed many I have had occasion to visit many other gardens where cactus are showcased. 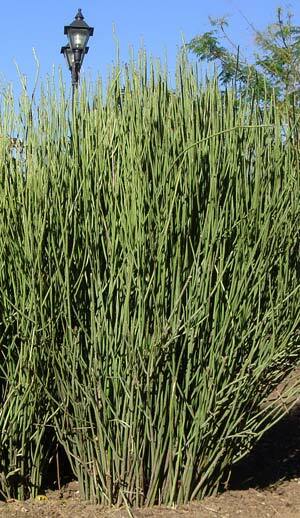 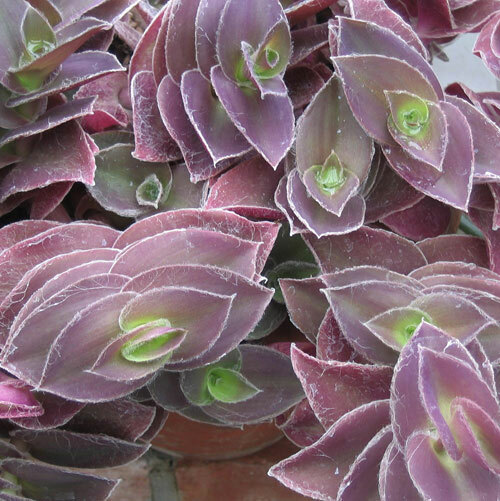 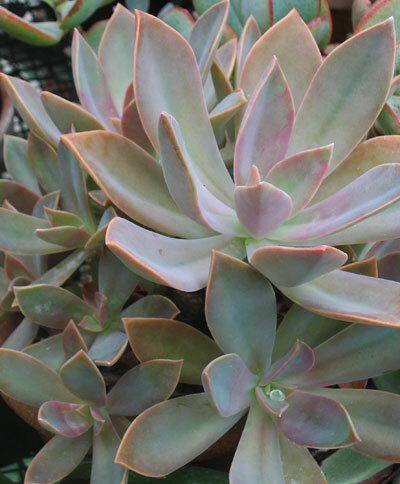 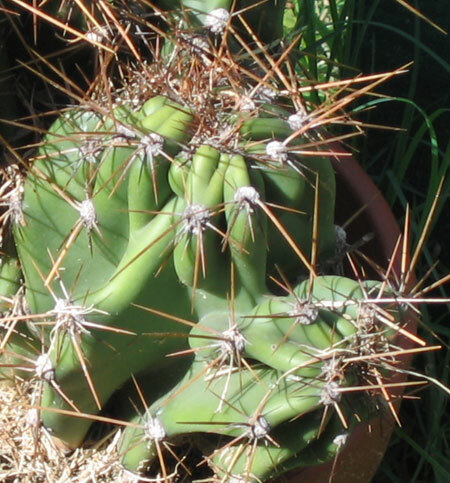 You may see those I have identified on the CACTUS AND SUCCULENTS PAGE. 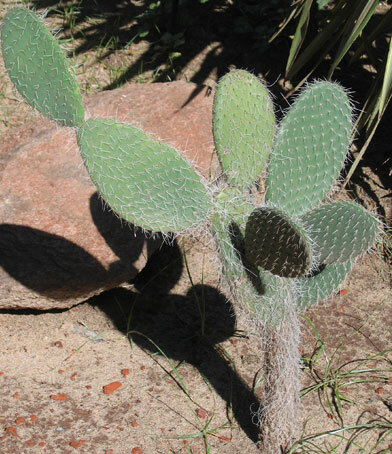 Those that remain unidentified, you can see them in the photographs that follow. 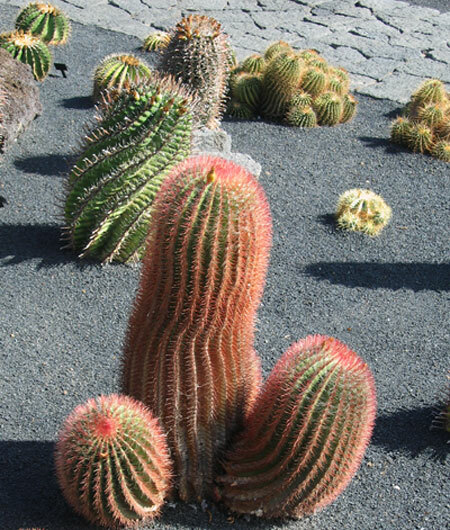 I hope you enjoy them as I do. 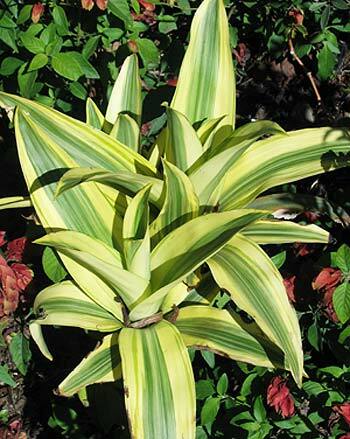 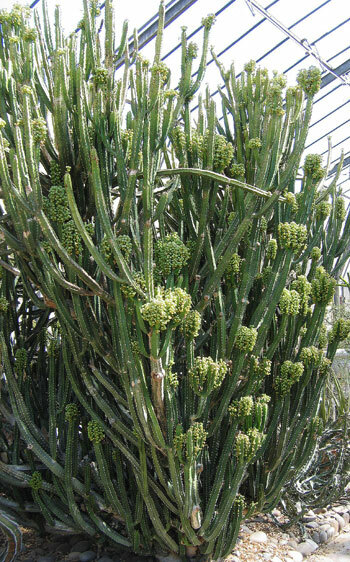 Please Contact Me If You Know What This Plant Is Called. 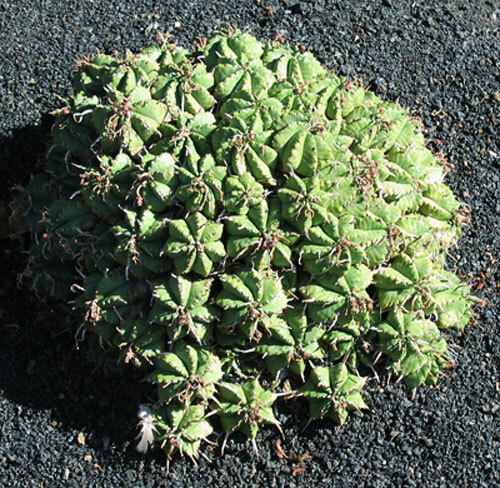 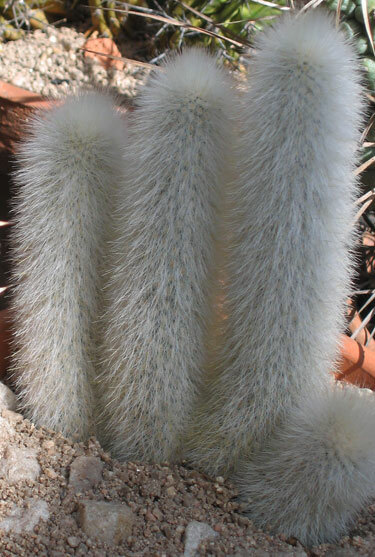 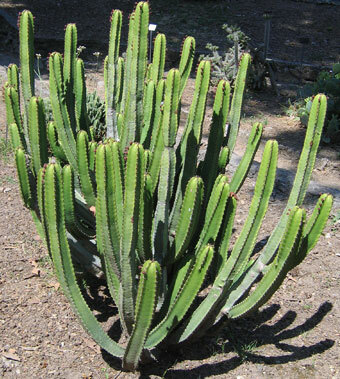 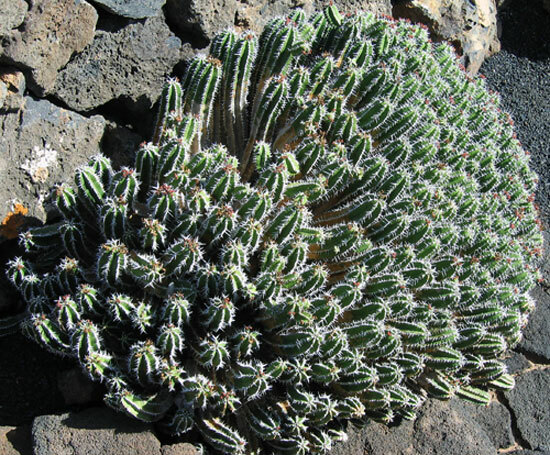 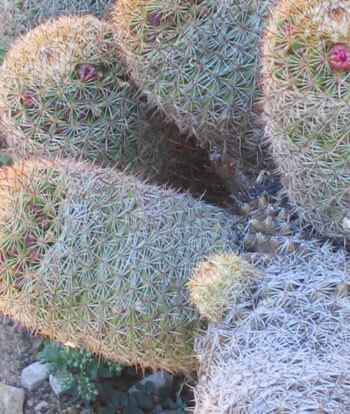 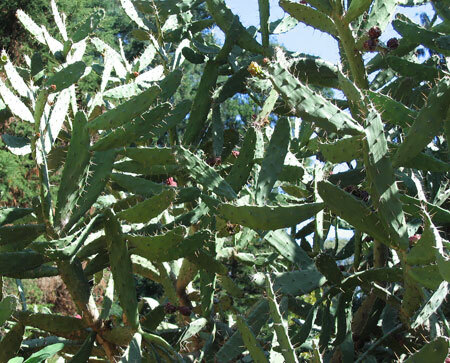 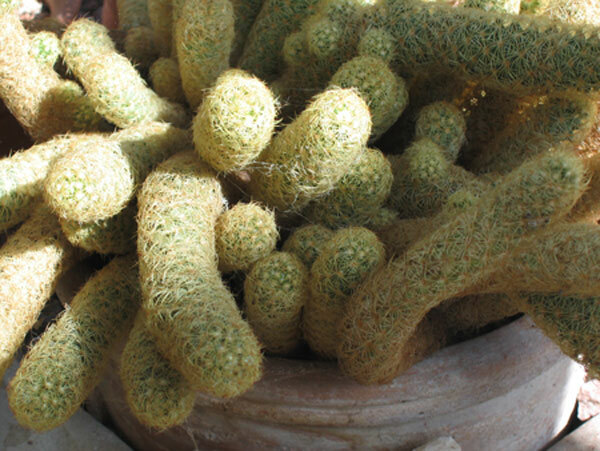 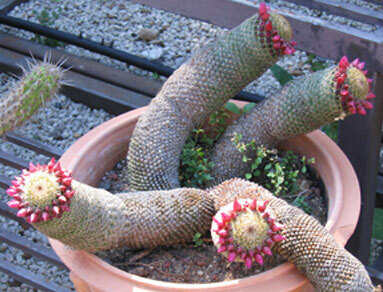 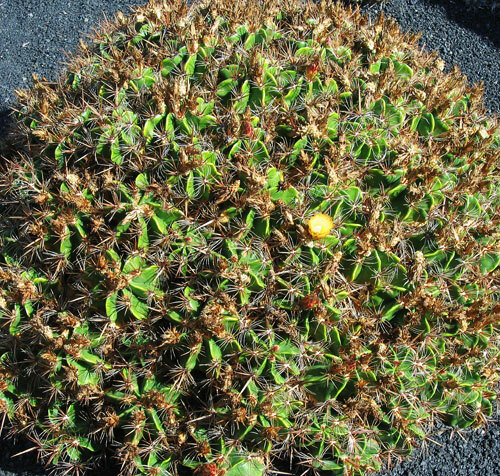 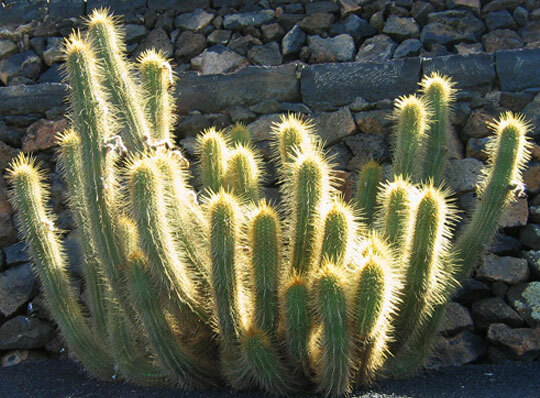 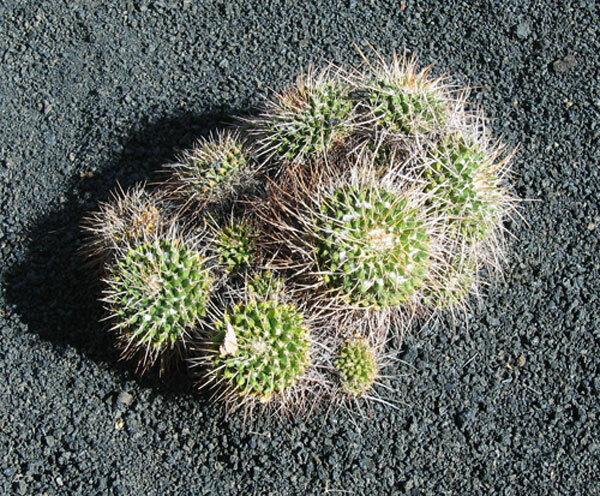 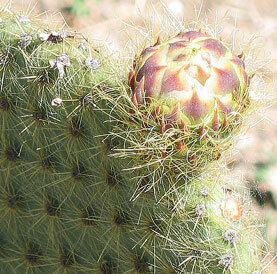 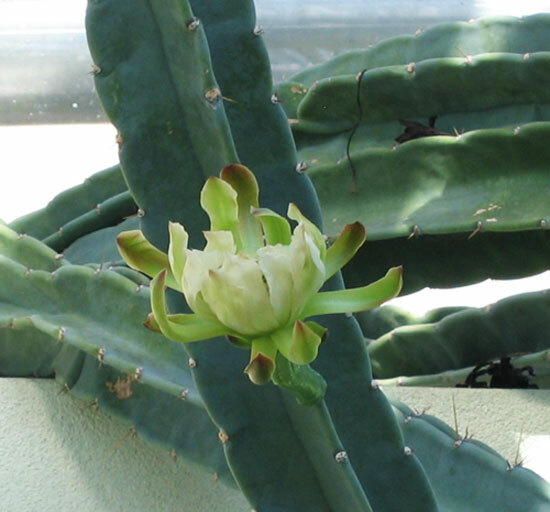 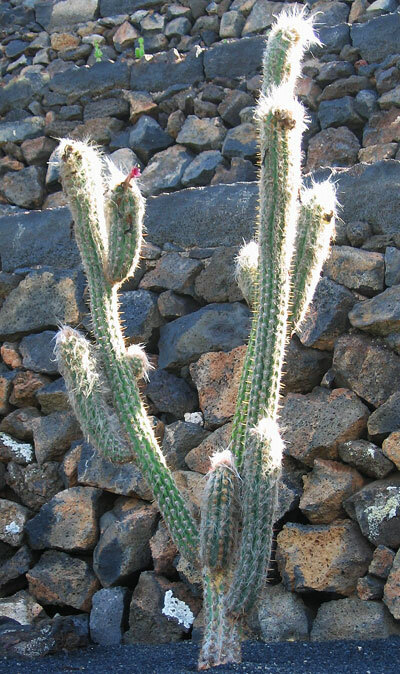 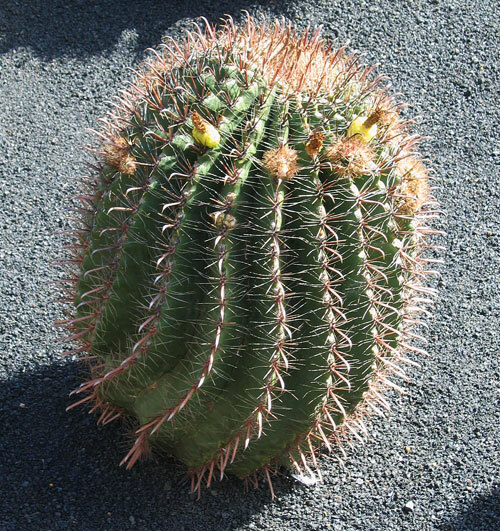 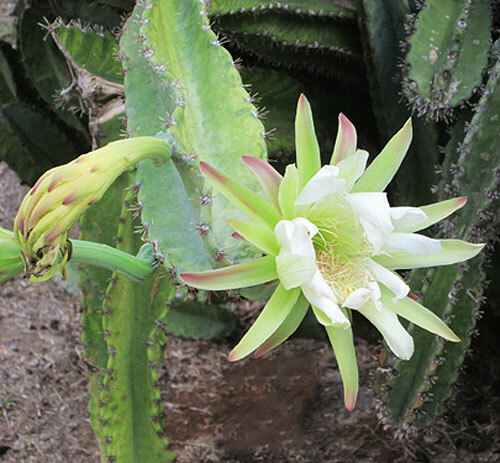 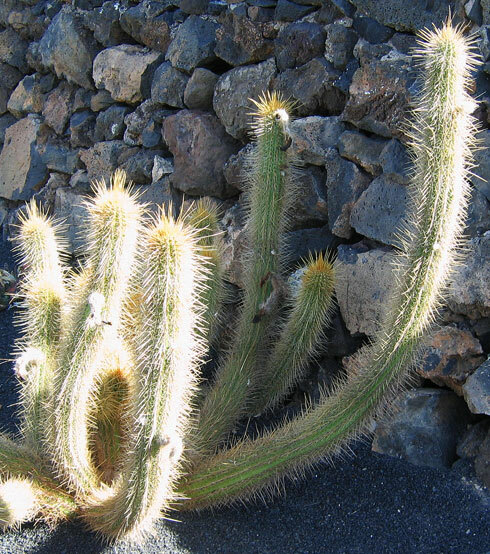 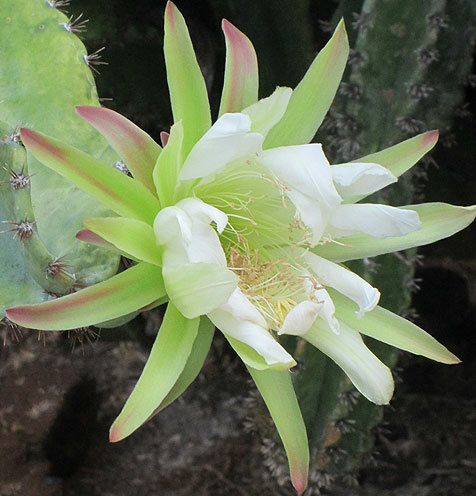 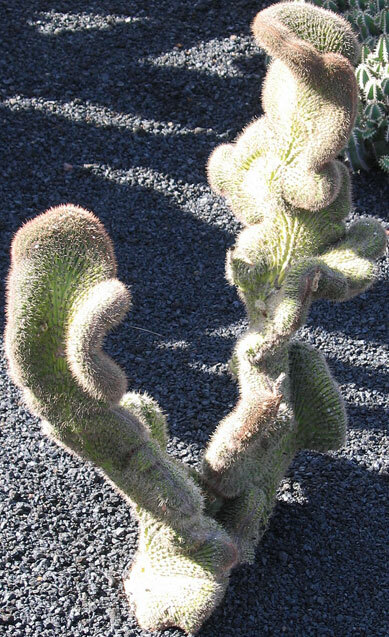 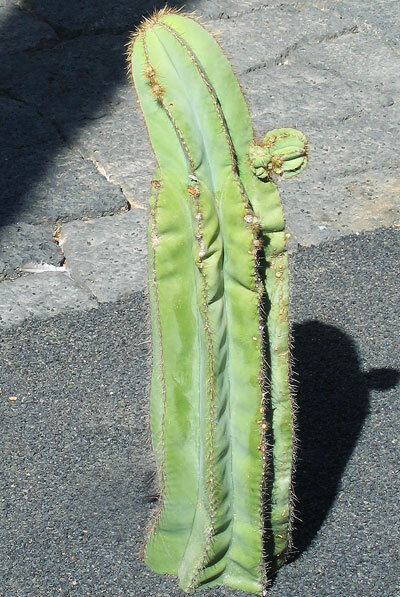 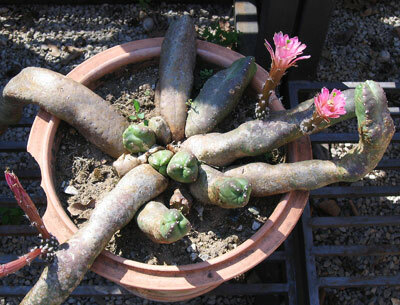 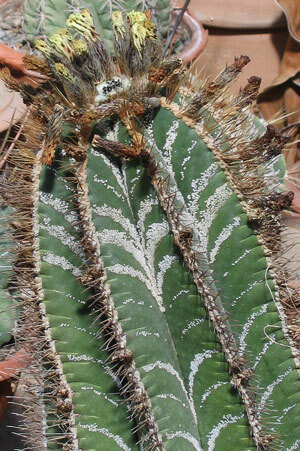 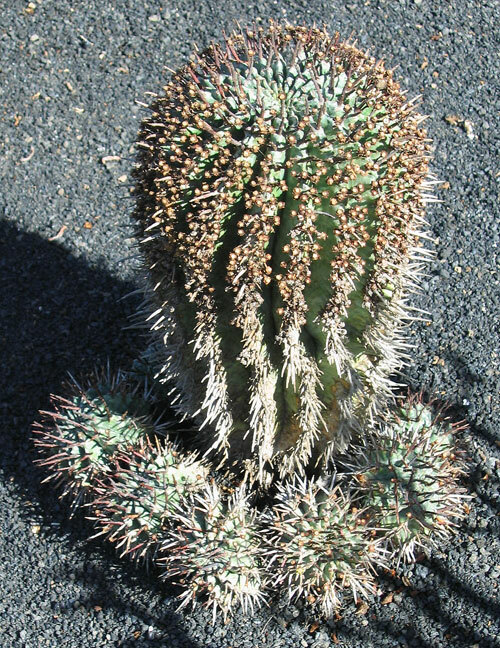 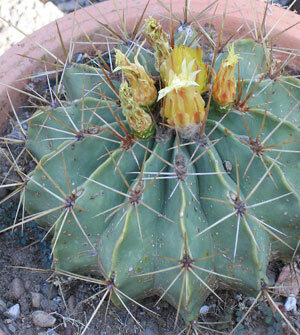 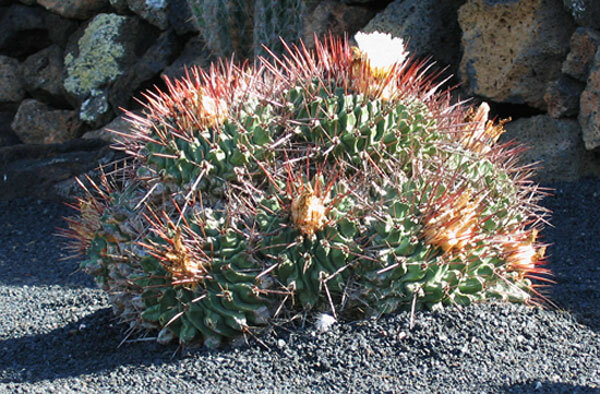 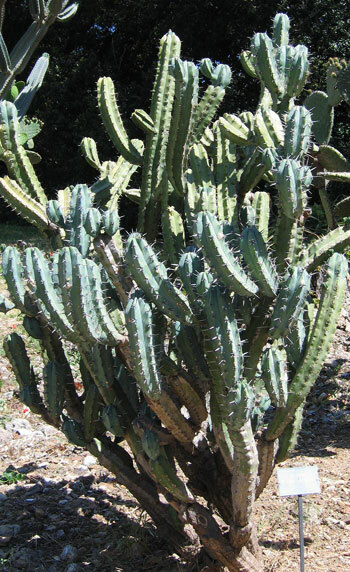 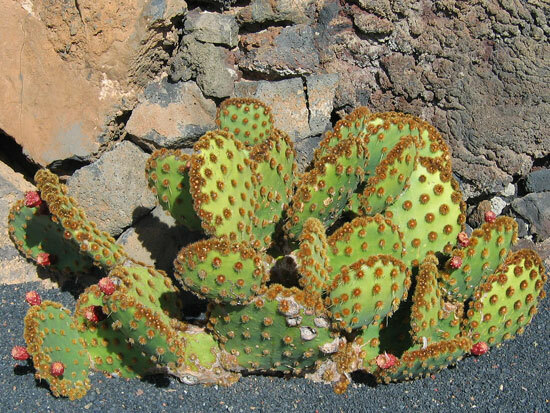 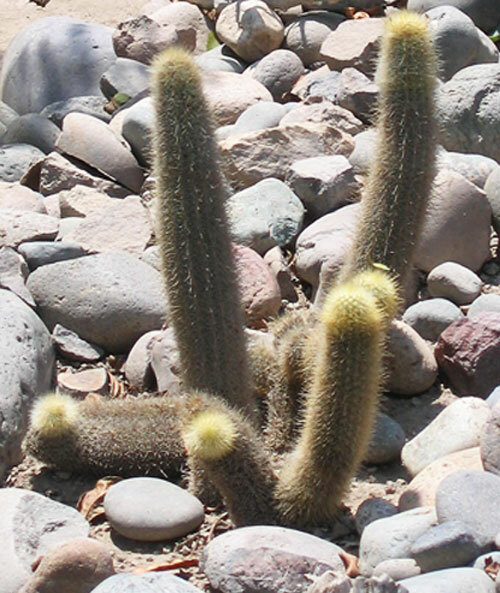 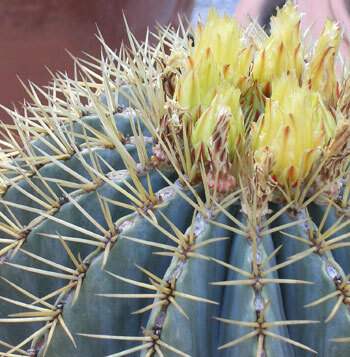 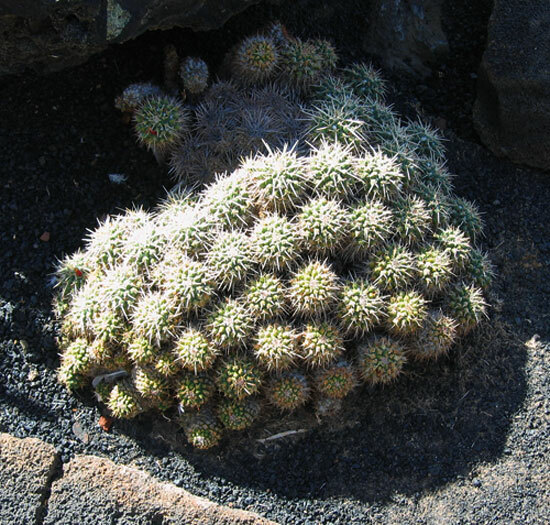 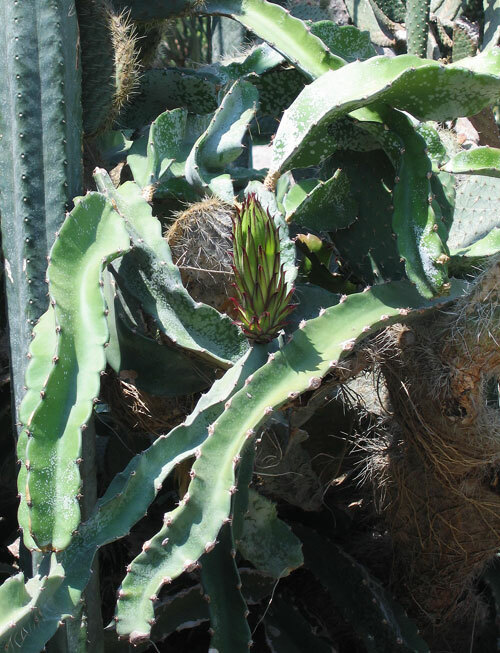 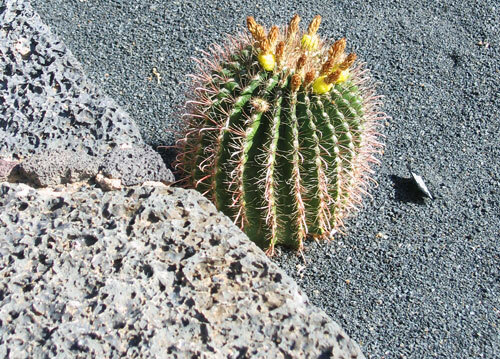 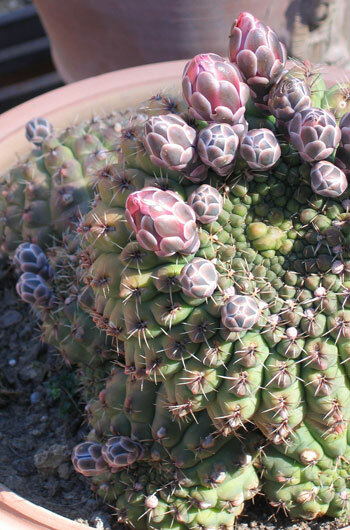 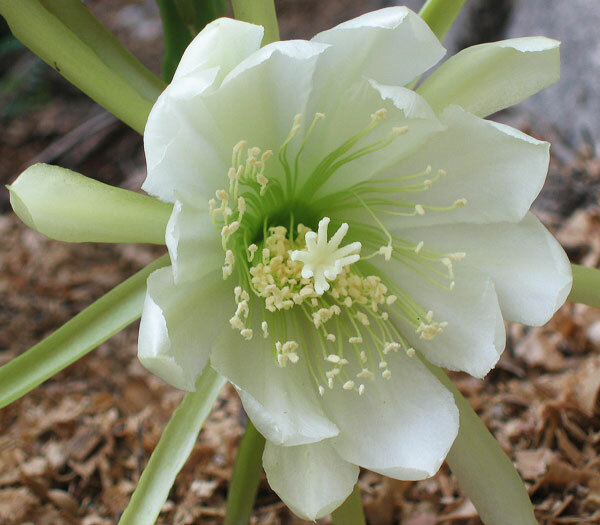 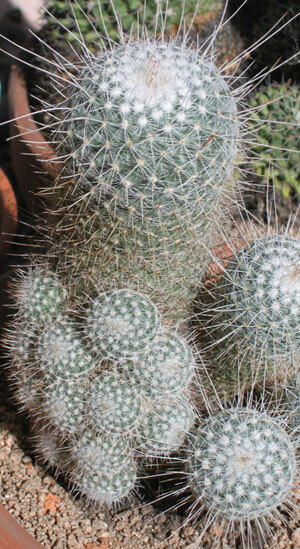 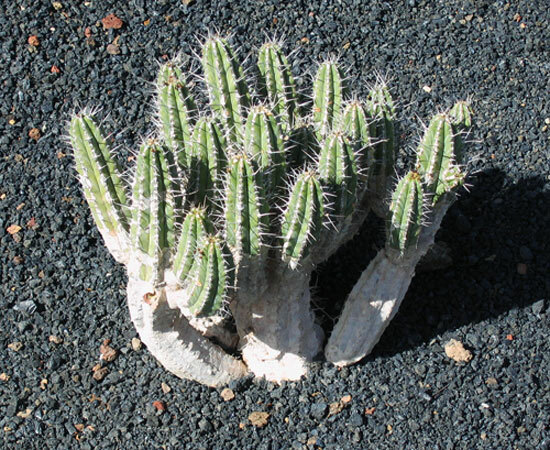 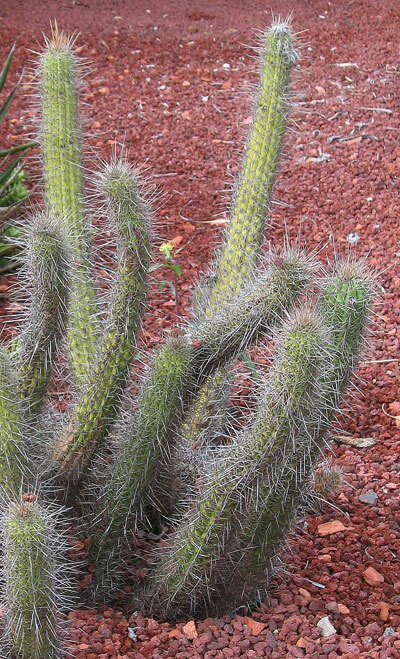 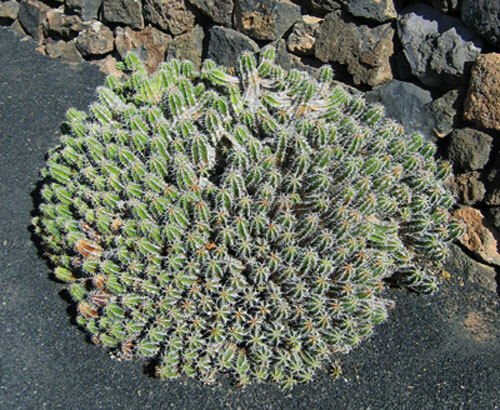 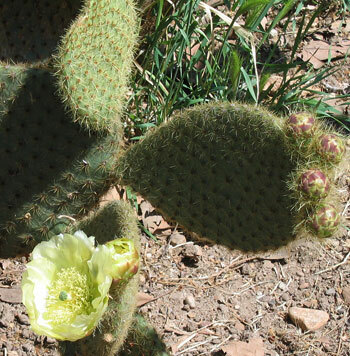 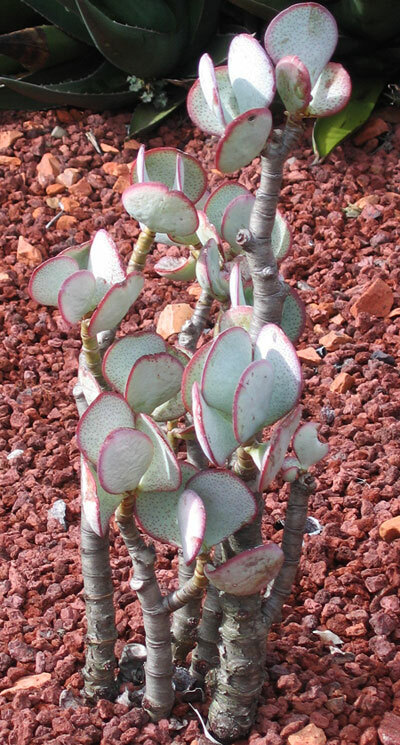 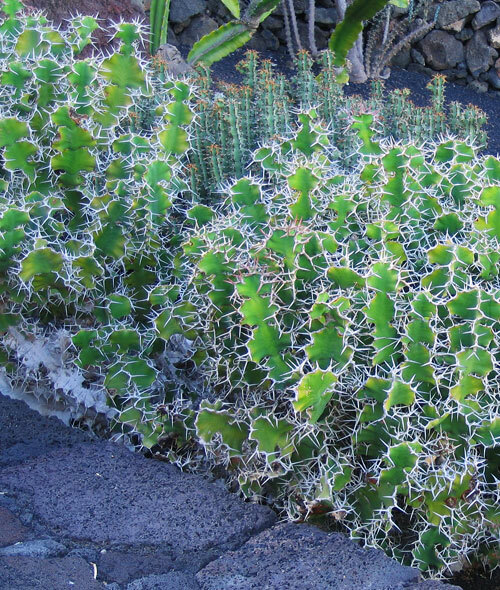 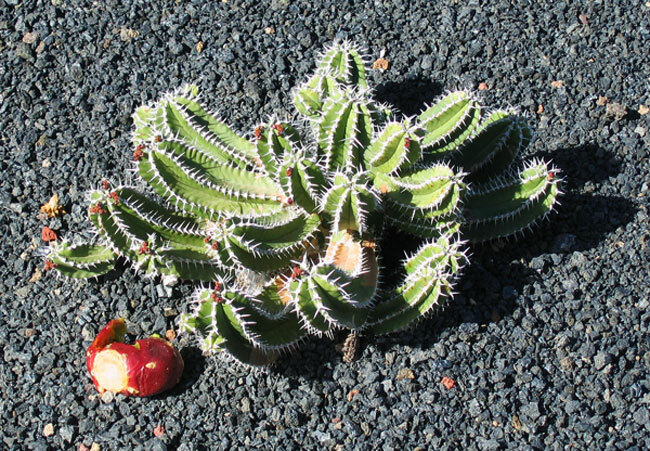 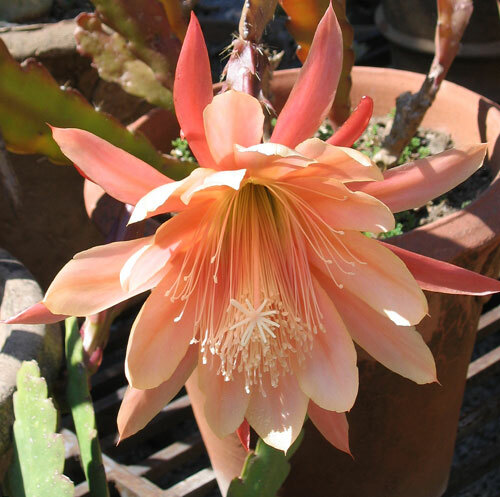 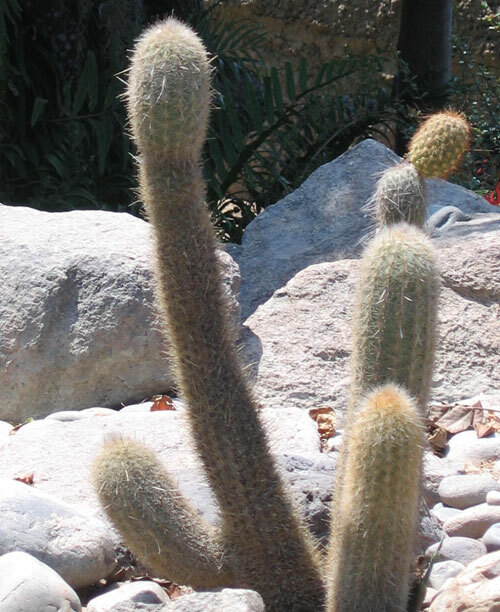 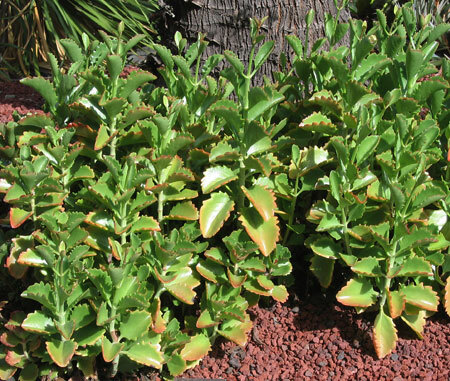 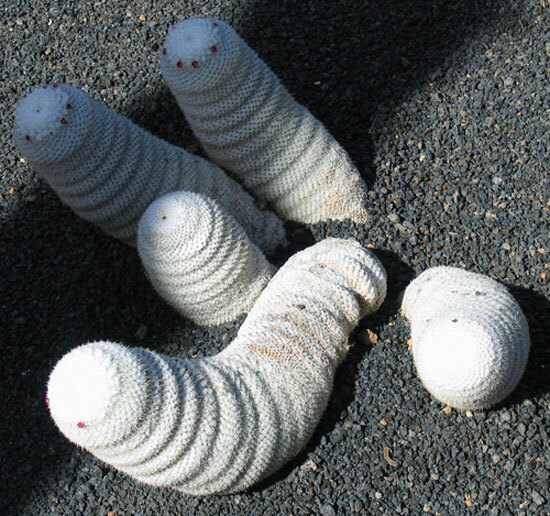 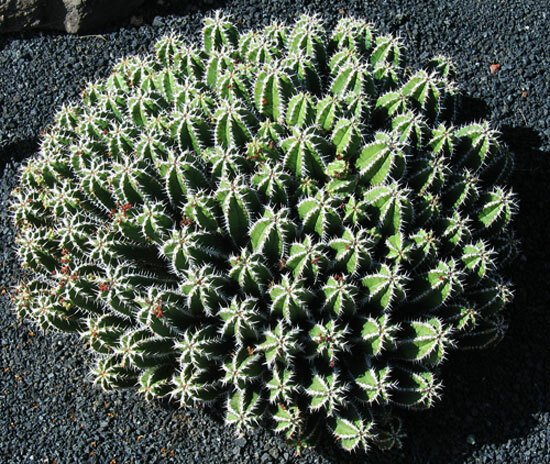 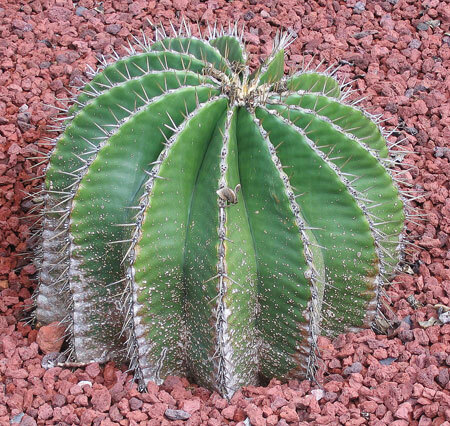 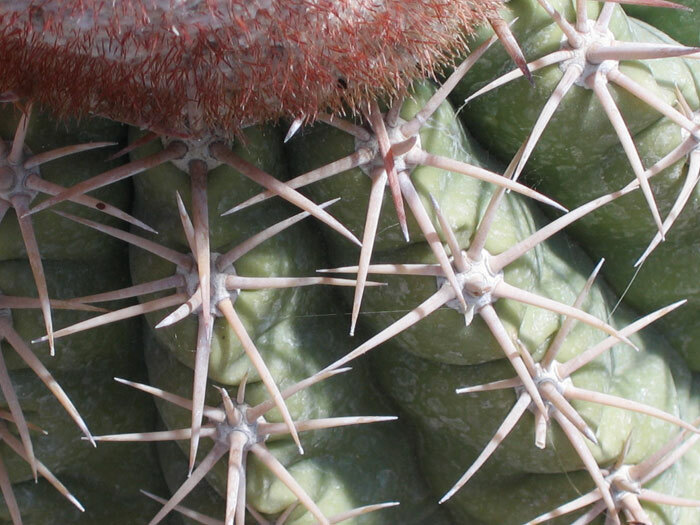 With my gratitude, my cactus mystery #2 was identified by Richard L., a visitor to the site. 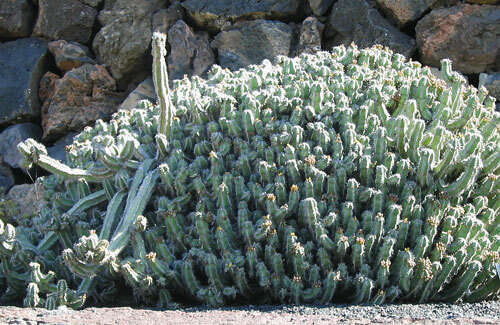 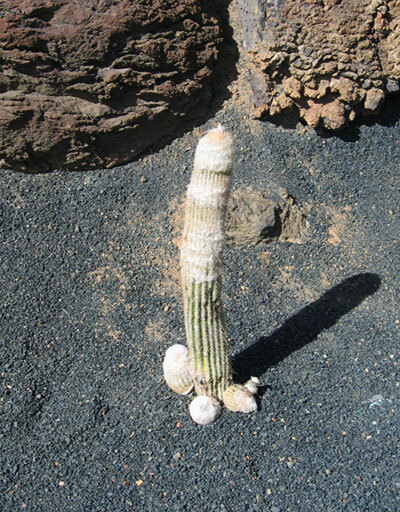 Please Contact Me If You Know What This Cactus Is Called. 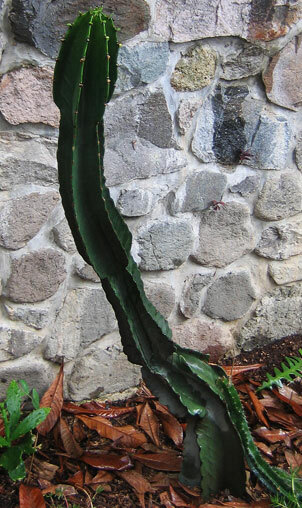 Photographed: At the Magdalena Hotel in Tobago in May of 2018. 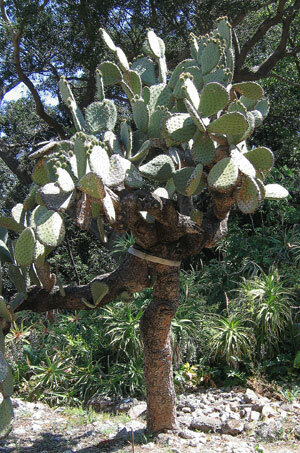 Photographed: In the Botanical Garden in Palermo, Sicily, Italy. 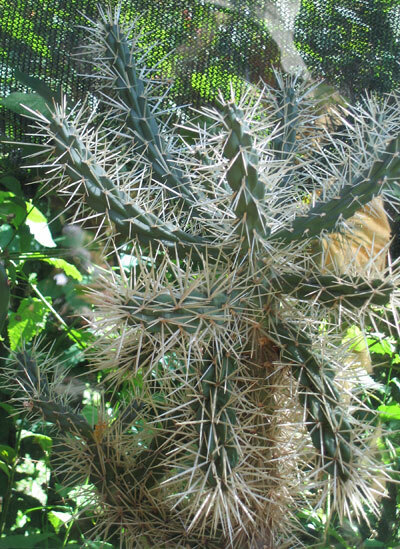 I think this could be a "Disocactus ×hybridus (Van Geel) Bartholott 'Dolly Madison' (Cactaceae)"
Photographed: In our backyard in Guatemala. 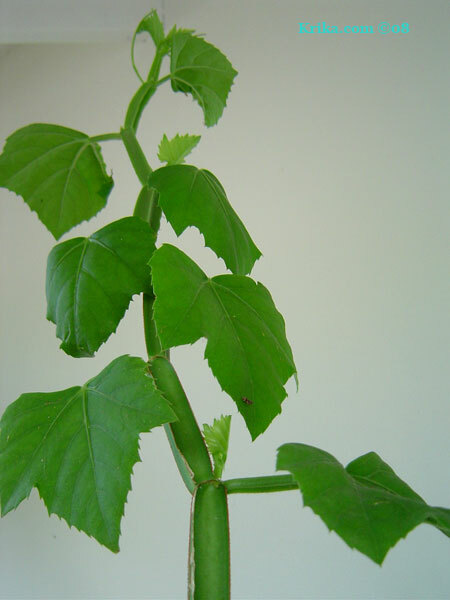 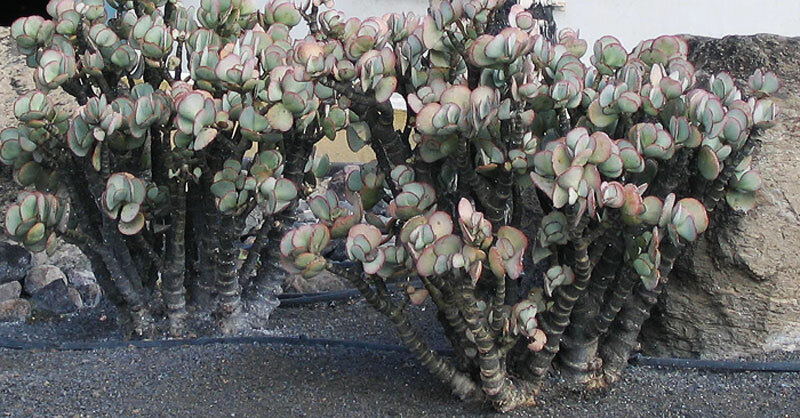 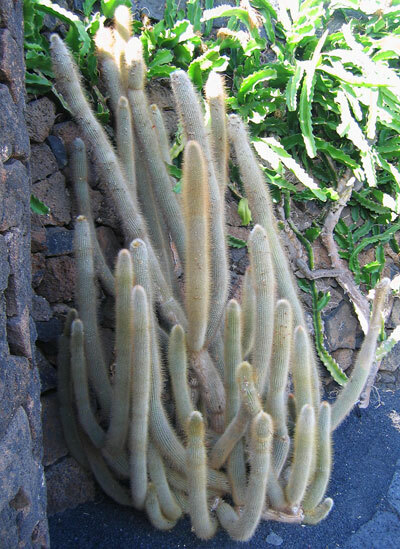 This is some sort of cactus/succulent plant which when growing in a climate with adequate water will have leaves that make it look very much like a grape vine. 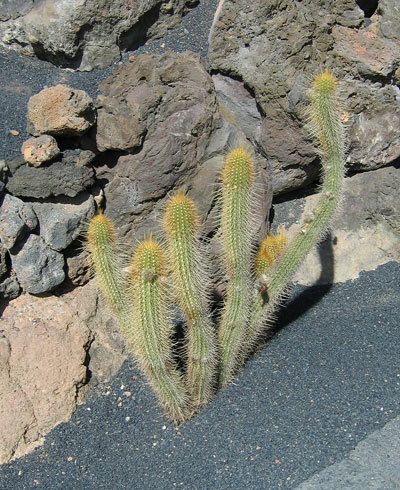 When life gets drier, it loses its leaves, but survives. 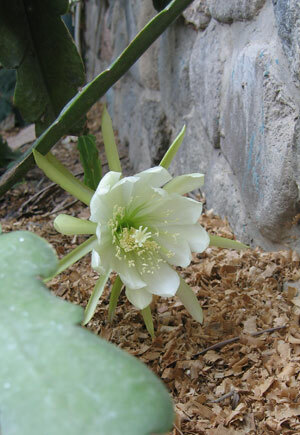 Photographed: Growing in a hanging pot at the front of the house at our former home in Montserrat. 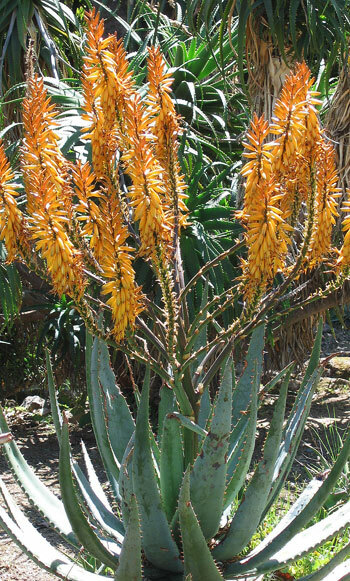 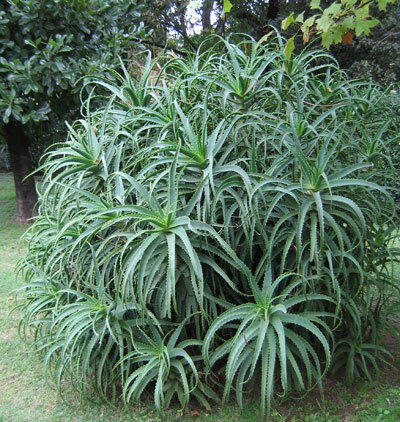 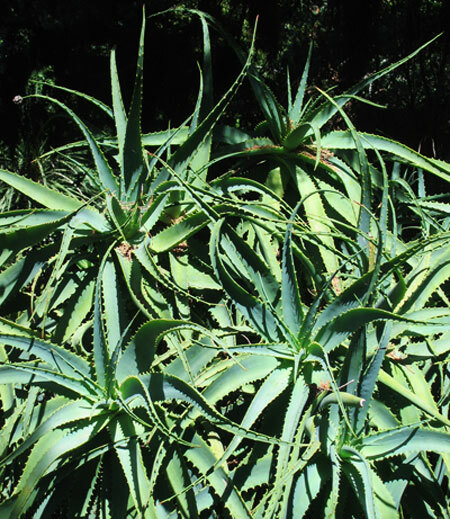 This is probably an aloe. 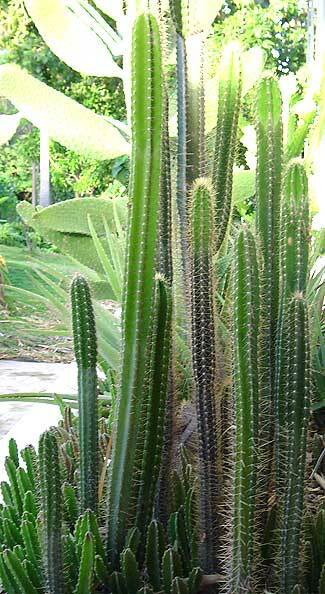 Photographed: In our front border garden at our former home in Montserrat. 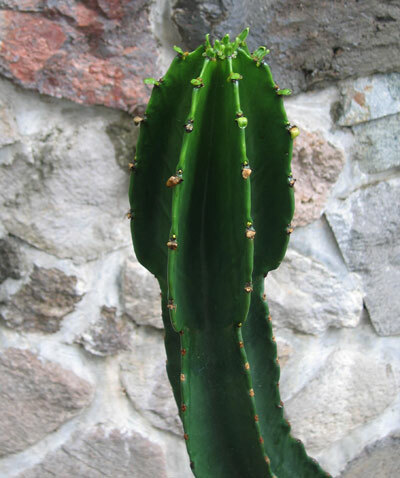 Photographed: In the city of Oaxaca, Mexico. 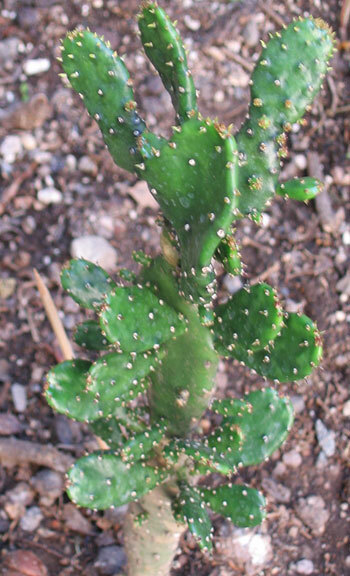 Is this an Arborescent Prickly Pear? 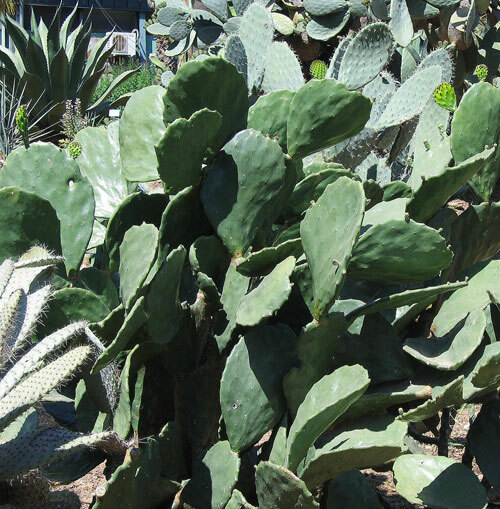 Is this an Arborescent Prickly Pear or an Indian Fig Opuntia? 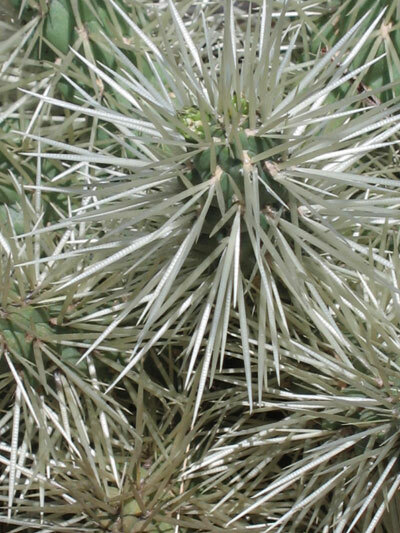 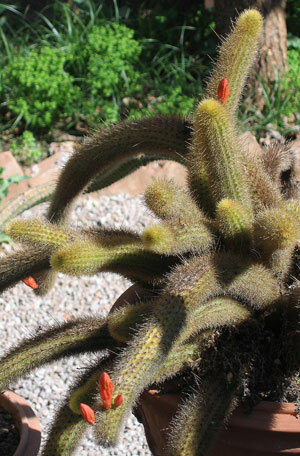 Could this be a tarantula cactus plant (Cleistocactus winteri)? 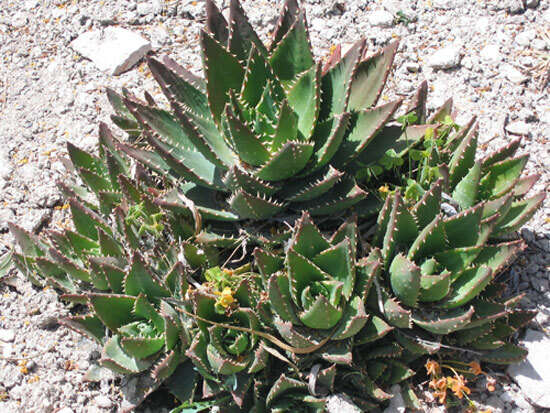 Is this likely an aloe? 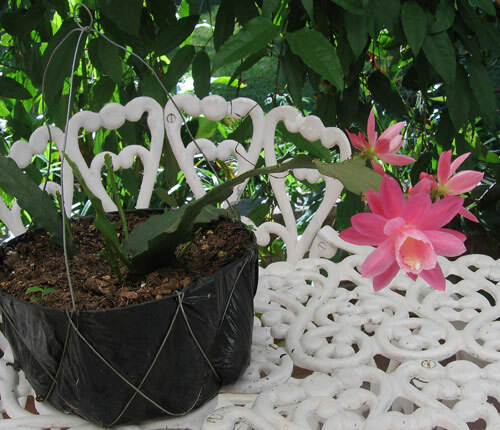 Photographed: On our porch at Lake Atitlan in Guatemala, 2012. 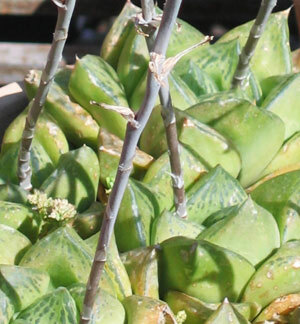 Photographed: In the Royal Botanical Garden in Sydney, Australia, in 2013. 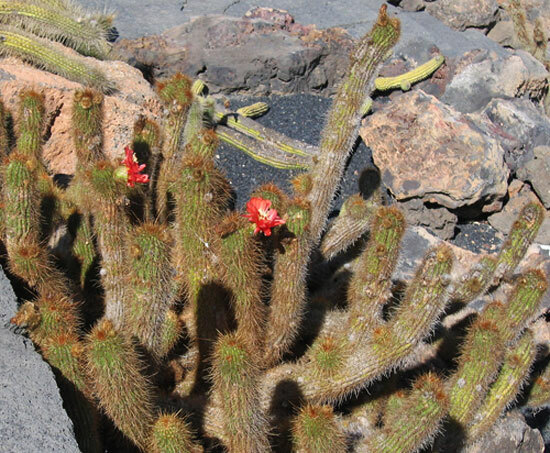 Photographed: In the Canary Islands, Spain, in 2014. 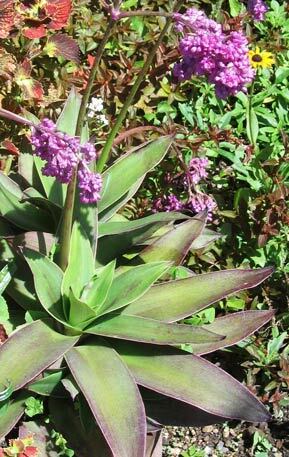 Photographed: In the Jardim de Olhao in Agadiz, Morocco, in 2014. 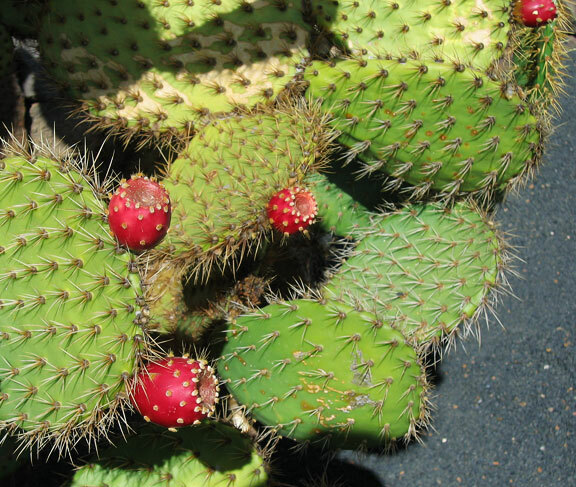 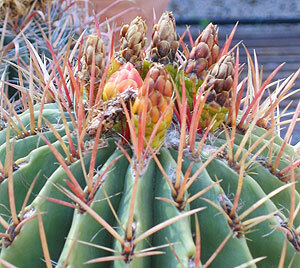 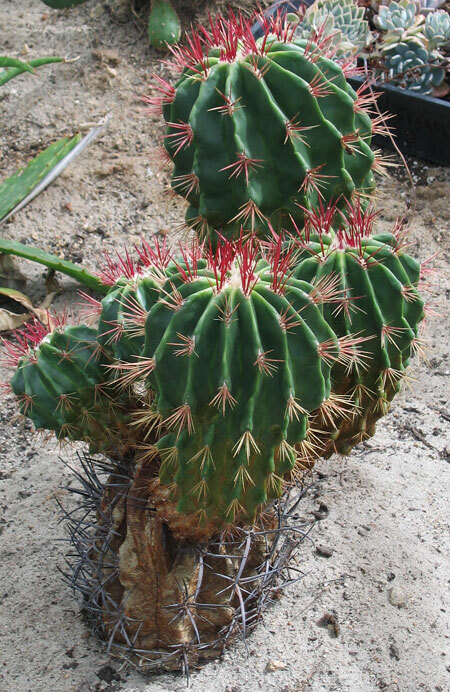 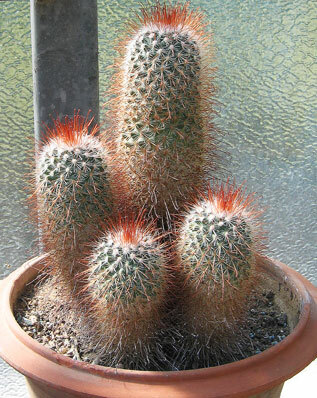 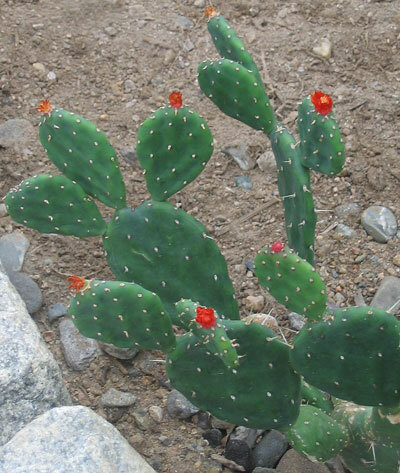 Even this relatively ordinary cactus becomes a delight when it dons its bright red flowers. 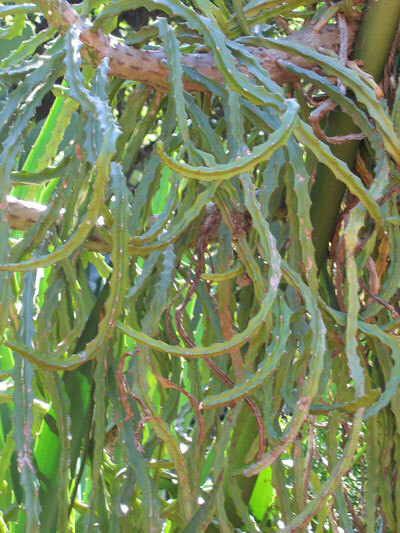 Photographed: In our garden at Lake Atitlan in Guatemala in 2014. 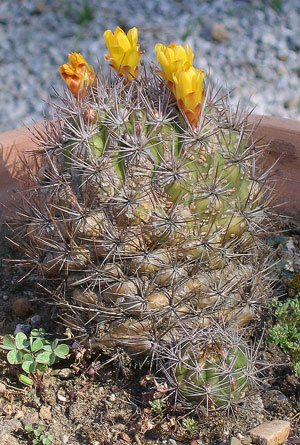 Isn't this a young barrel cactus? 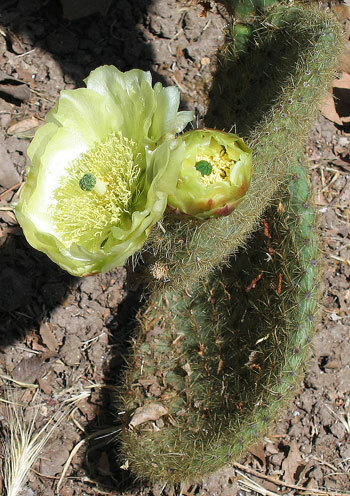 Also see Mystery 150 and 154 below. 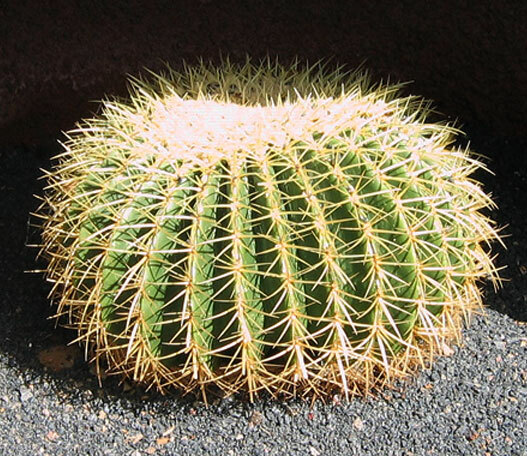 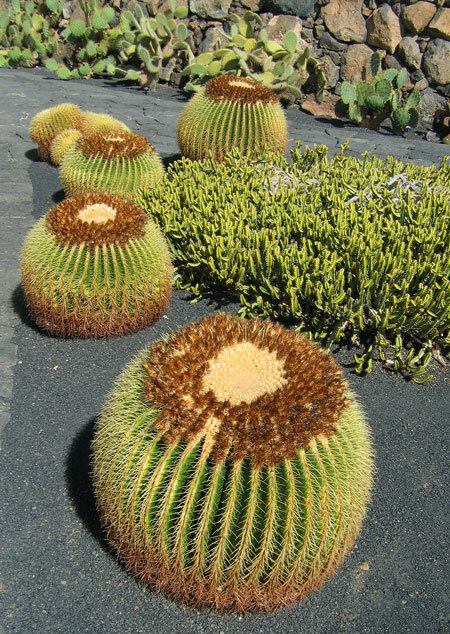 This is probably a Golden Barrel Cactus. 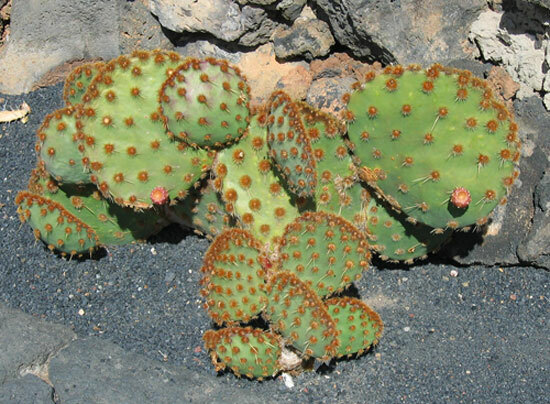 My Cactus/Succulent Mysteries 164A, 164B and 166 were all solved with the help of a friend on Twitter. 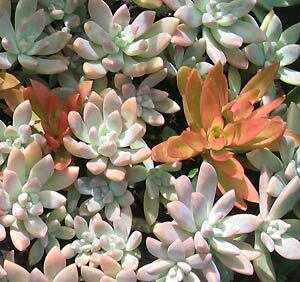 Photographed: At the Roger Williams Park Botanical Center in Rhode Island in 2014.